On 17 October 2007, Sakis Gouzonis began promoting his music on the internet without any assistance from record labels, management/booking agencies or marketing companies. Today, 831 days later, 100.000 people from 196 countries and territories have become fans of his music, and support him online in every way that they can. It would take 3 Panathenaic stadiums to fit them all. The 100.000th fan comes from Italy. Sakis Gouzonis&apos; official website, www.SakisGouzonis.com, is now one of the most visited artist websites in Greece and internationally. Last night, the 2nd Meeting of Music & Poetry was held in Volos, Greece, and attended by hundreds of music industry professionals, artists and listeners. Sakis Gouzonis won 1st Prize for his New Earth album. This Prize is awarded by the chairman of the International Art Society, Mr. Yorgos Foudoulis, who is also the director of the Conservatory bearing his name. During the 2nd Meeting of Music & Poetry, a special ceremony for the winners of the Composition Competition 2009 took place. Sakis won 2nd Prize for his original music composition Elohim. The Composition Competition is an annual music event that gives composers, musicians, bands, poets, lyricists and singers from different countries an invaluable opportunity to promote their original works. Two years ago, on 17 October 2007, Sakis Gouzonis created his MySpace page. 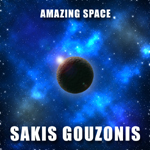 Today, Sakis Gouzonis&apos; MySpace page has more than 75.000 friends in 192 countries and territories. Sakis Gouzonis&apos; MySpace page is still the most popular Greek music page on MySpace. MySpace is the world&apos;s largest music social network. It was launched in August 2003. In 2005, it was purchased for $580 million by Rupert Murdoch, creator of a media empire that includes 20th Century Fox and the Fox television stations. Its headquarters are in Beverly Hills, California, where it shares an office building with its immediate owner, News Corp. Digital Media, owned by News Corporation. Sakis Gouzonis participated in the UK Songwriting Contest 2009 with his music composition Elohim. This year, almost 6.000 songs were submitted to the UK Songwriting Contest by artists from all over the world. Sakis won a Semi-Finalist Award for his original music composition Elohim. The UK Songwriting Contest is an annual music event that awards the best international songwriters. Artists from around the globe can showcase their works to the London music industry and globally. 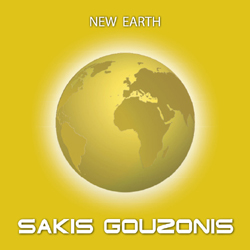 Sakis Gouzonis releases his 2nd studio album titled New Earth. His 2nd studio album contains ten original instrumental electronic tracks, for a total playing time of 34:48 (m:s). All music tracks were composed, orchestrated, performed, recorded, mixed and mastered by Sakis Gouzonis in his recording studio located in Elassona, Greece. New Earth contains ten beautiful instrumental electronic music tracks. "…Definitely a world class act, tunes such as ‘Anthem Of Love,’ ‘A Star Brighter Than Others,’ and ‘Give Me A Chance’ enchant the senses with their sheer vibrancy. ‘Elegy’ is especially sweeping, sounding like a grand score to a big Hollywood epic…"
New Earth is available in MP3 (320 kbps) and CD format. Sakis Gouzonis participated in the Composition Competition 2008 with his music composition Elegy. A special ceremony for the award winners took place last night in Volos, Greece. Hundreds of artists and listeners attended the awards ceremony. Sakis won 3rd Prize for his original music composition Elegy. The 2008 judges were Yorgos Foudoulis, Dimitris Kontogannis and Grigoris Soultanis. One year ago, on 17 October 2007, Sakis Gouzonis created his MySpace page. 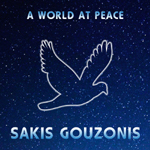 Today, Sakis Gouzonis&apos; MySpace page has tens of thousands of friends in more than 150 countries and territories. Sakis Gouzonis&apos; MySpace page is now the most popular Greek music page on MySpace. 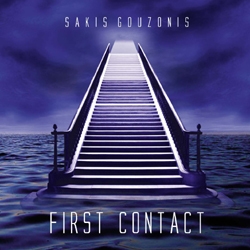 Sakis Gouzonis releases his 1st studio album titled First Contact. His 1st studio album contains ten original instrumental electronic tracks, for a total playing time of 35:58 (m:s). All music tracks were composed, orchestrated, performed, recorded, mixed and mastered by Sakis Gouzonis in his recording studio located in Elassona, Greece. First Contact contains ten beautiful instrumental electronic music tracks. First Contact is available in MP3 (320 kbps) and CD format. 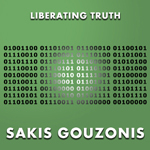 Sakis Gouzonis has just launched his official website at www.SakisGouzonis.com. The website includes detailed biography, complete discography, a frequently updated electronic press kit, press releases, questions and answers, contests with great prizes, news, contact details, links and more. The aim of the website is to keep fans updated with Sakis&apos; current activities and news, as well with the latest music. The website will be updated regularly by Sakis himself. Sakis&apos; official website has already been receiving praise by international visitors for its content, creativity, ease of use and quality design. Note: The following press release was released before the launch of SakisGouzonis.com. Sakis Gouzonis participated in the Composition Competition 2007 with two of his music compositions, Anthem Of Love, and Give Me A Chance. The award of prizes and commendations took place last night in Volos, Greece, in a special ceremony. Many composers, musicians, bands, poets, lyricists, singers and listeners attended the awards ceremony. Sakis won 3rd Prize for his original music composition Anthem Of Love, and 1st Commendation for his original music composition Give Me A Chance. The 2007 judges were Yorgos Foudoulis, Dimitris Kontogannis and Grigoris Soultanis.